The media’s portrayal of whiplash as a ‘fake claim’ designed to solicit undeserved money from car accidents has sharply damaged the ability of victims to seek legitimate compensation for their very legitimate injury. 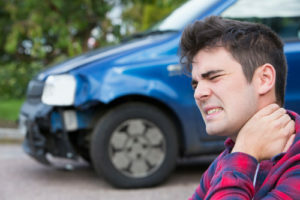 If you are suffering from whiplash, don’t be hesitant to learn about your legal options to be sure that you obtain full reimbursement and compensation for your injuries. Car accidents often result in injuries, and whiplash is one of the most commonly reported car-related injuries. This injury is caused by the fast and sudden back-and-forth motion of the neck as it is violently impacted by a collision, but it may not be apparent right away. Seeking immediate medical treatment is important in diagnosing and treating this type of injury. Keep extensive records of your medical bills, lost wages or other losses arising from your whiplash. New Jersey is a “No-Fault” insurance state, so you’ll need to first make a claim with your own insurance companies to pay the medical bills under and other expenses associated with your whiplash injury. This No-Fault policy, also known as “PIP”, which is short for Personal Injury Protection, usually means a faster financial recovery for medical and other expenses, but it can also limit your ability to obtain adequate medical treatment for your injuries if the amount of medical coverage you choose is insufficient, so it is critical to choose the proper amount of PIP coverage when you purchase your automobile insurance policy. In addition, it is usually best to seek out legal counsel before initiating claims or collecting compensation from both your insurance company, and from the defendant’s insurance company. The trusted personal injury attorneys at TeamLaw are experienced in handling whiplash-related claims, and we know how to ensure you receive the full financial compensation you deserve. To reach our team of highly qualified car accident attorneys, visit our online contact form. After submitting your information, you will hear back from one of our attorneys about your case as soon as possible.